New York: The private collection of artist Howard Hodgkin will be featured in a stimulating exhibition displaying his diverse range of Indian works. Although the collection has received high praise in a number of institutions this particular exhibition will show a more complete vision of the collection as a whole. 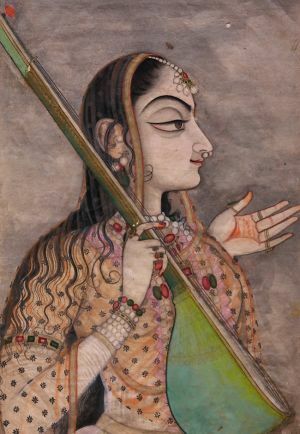 “Visions of Mughal India” will feature a brand new addition, which has never been displayed before. Prior to this exhibition at the National Museum Cardiff, the Hodgkin collection was missing an essential piece. One of the sumptuous, large temple hangings in the collection was part of a pair of cloth hangings. However, the missing pair was not found until just recently. It displays a natural scene of four young maidens dancing and has the same beautiful quality of the one previously acquired by the Hodgkin collection. This will be the first time the pair is shown together as they were originally intended. Debuting for the first time in Wales, the Howard Hodgkin collection consists of unusually high quality works. 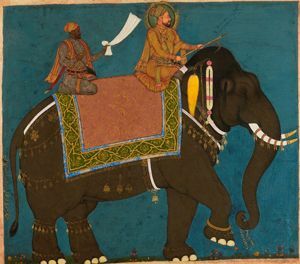 Because it is a personal collection of an artist, each work expresses flawless craftsmanship and technical quality and it is known as one of the most established private collections of Indian art. The newly acquired temple tapestry is a fine example of how much of the collection displays natural and true to life scenes of India. This is motivated by the artist’s love of both India’s urban and natural landscape. 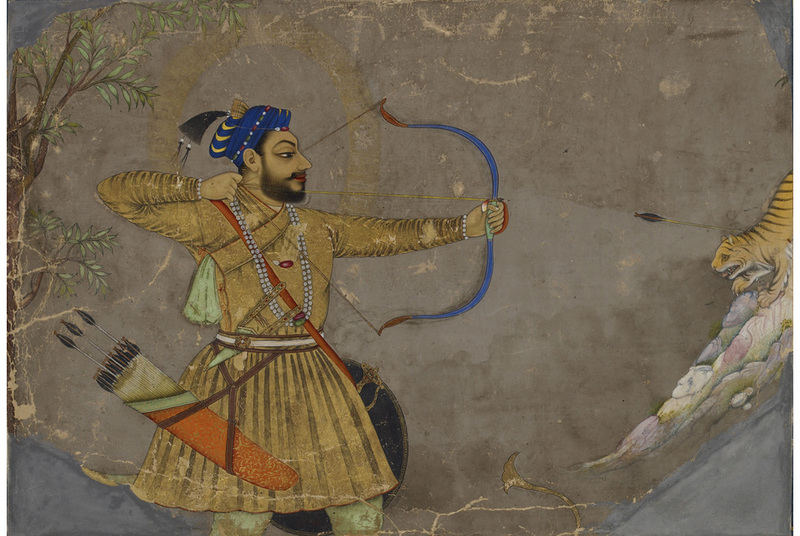 The Howard Hodgkin collection as a whole encompasses many different nuances of Indian court painting, specifically the Mughal period circa 1550-1850. The works in the collection range in time period as well as design motif. Some represent narratives and characters that illustrate the scenery of everyday life in India, while others rely on a more abstract design motif. Through these contrasts in artistic intention, the consistent thread throughout the entire Howard Hodgkin collection is it’s attention to detail and quality. This is truly a private collection loved and curated by an artist in his own right. The exhibition will be on until November 3, 2013, and several collateral events will be held at the museum to accompany it. For more information click here.